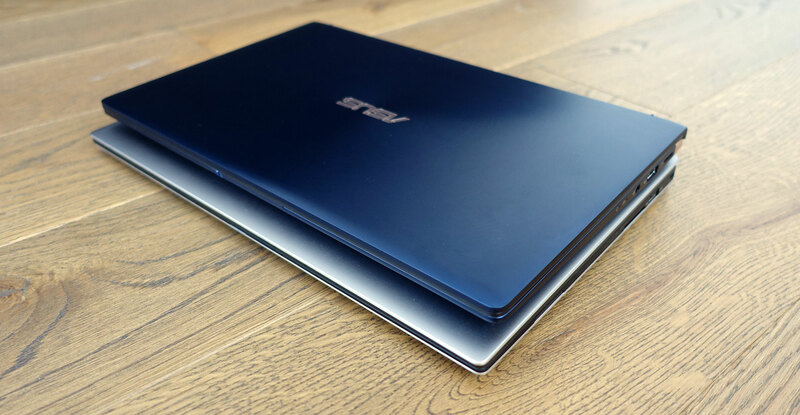 Summary: The Asus ZenBook UX333 is a mixed bag. On one hand it's tiny, well made and powerful, on the other it compromises on the screen's brightness, typing experience and IO, and the competitive pricing might not be enough to compensate for all these. 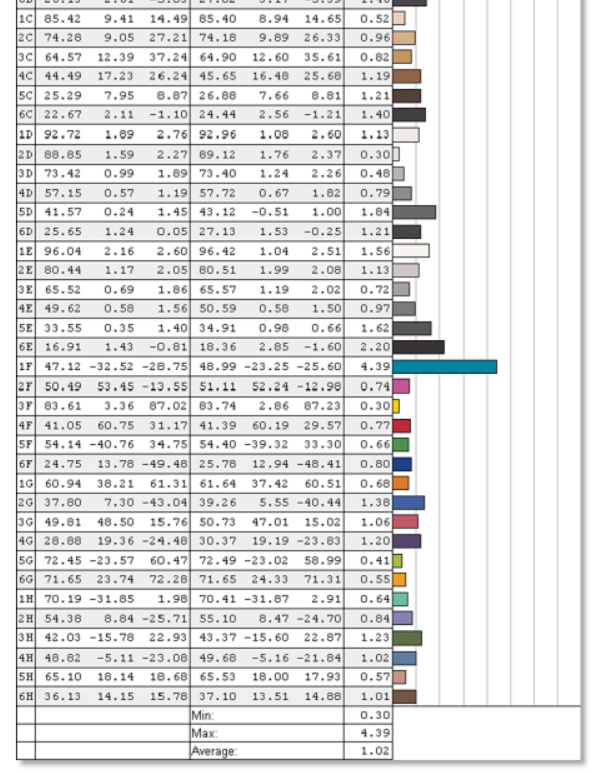 That's why we rate the UX333FN variants at a potential 4/5 if they prove to deliver the performance expected from the hardware platform, while the UX333FA variants score a lower 3.75, as they sacrifice functionality and pale in front of the alternatives available these days in the thin-and-light niche. We'll explain why in the detailed article below. 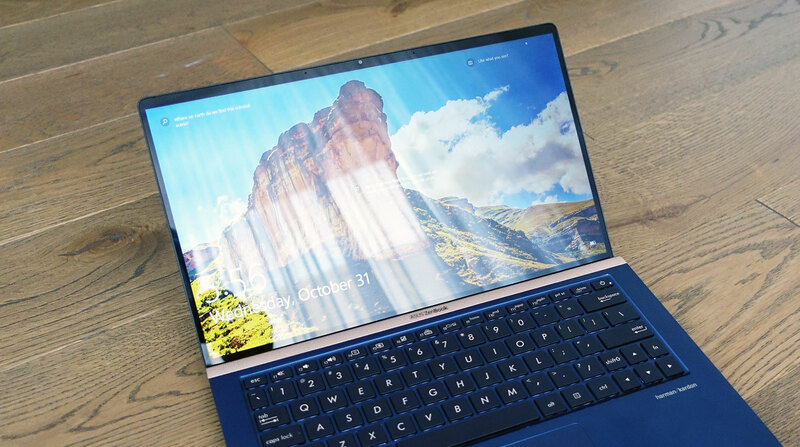 In this article, we’re talking about the Asus ZenBook UX433FN, the smallest modern laptop with dedicated graphics you can find in stores as of late-2018 and the beginning of 2019. 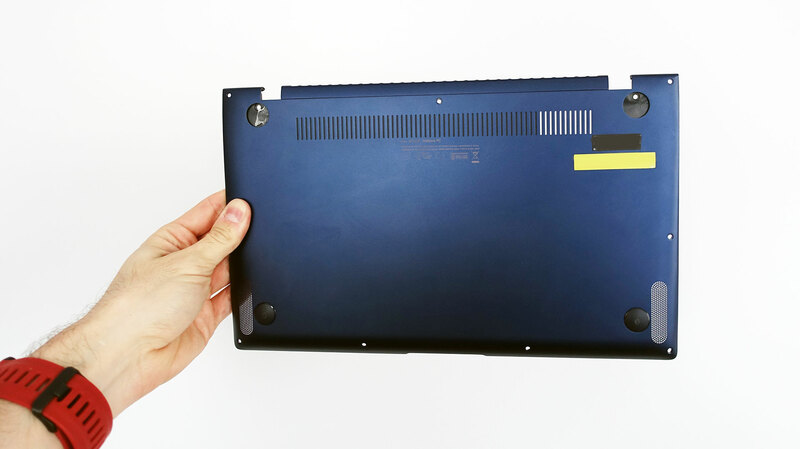 This is a 13-inch clamshell computer with a compact form factor, tiny bezels around the screen and no compromises in terms of hardware-specs, battery life and for the most part, performance. 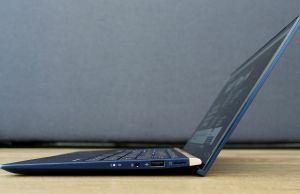 It’s built on the latest hardware designed for thin-and-light computers at the time of the article: an Intel Whiskey Lake platform and Nvidia MX150 graphics, paired with an IPS screen, backlit keyboard and punchy speakers, all with a starting price of around $999 / EUR 899. 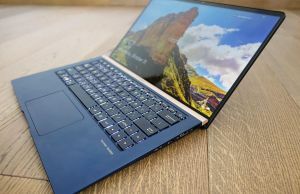 We’ve spent the last few weeks with a pre-production unit of the ZenBook UX433N before it was released in stores, and gathered all our impressions in this article, with the strong points and the quirks. 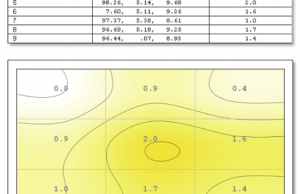 Our sample is as far as I can tell identical to the final retail units, yet some aspects regarding performance and thermals could improve with more mature drivers and the slight tweaks the manufacturer might perform by that time. We’ll talk about all these aspects in the article. Disclaimer: Our test unit was provided by Asus for the purpose of this review, and was later returned to them. That’s standard procedure and has absolutely no impact on the content of this post. 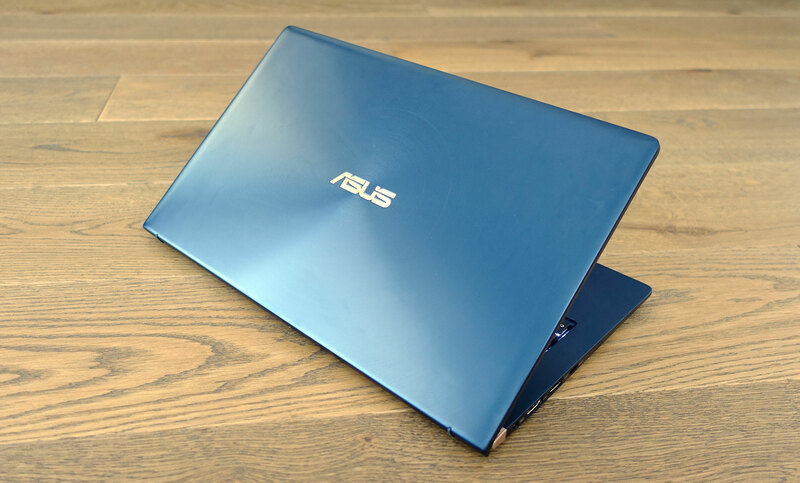 Asus offers the ZenBook UX433FN in various configurations, with Whiskey Lake Core i3-8145U, Core i5-8265U or Core i7-8565U processors, 8 or 16 GB of RAM, and 256 GB to 1 TB of storage space, alongside the Nvidia GPU. 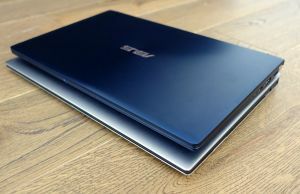 If not interested in gaming you can instead opt for the ZenBook UX433FA variants, identical to the FN models tested here, but without the dGPU. 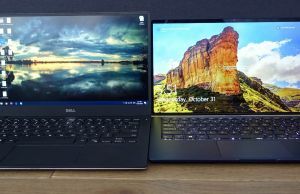 Most of the aspects mentioned in this article apply to the FA variants as well, and these are also slightly more affordable, but potential users should consider the fact that once you drop the Nvidia chip, this laptop gets to compete in a far more crowded niche, alongside other premium 13-inch notebooks like the Asus ZenBook S UX391, the Dell XPS 13 and the updated 2019 XPS 13 generation, the HP Spectre 13 or the Microsoft Surface Laptop. 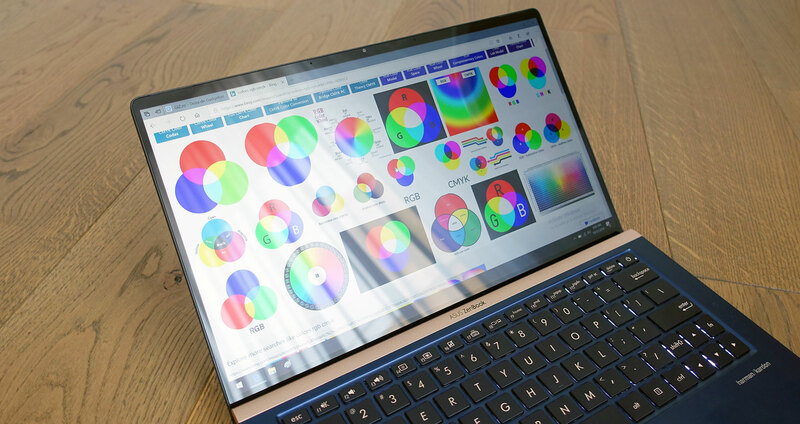 The UX433FN on the other hand, while not the only 13-inch laptop with dedicated graphics on the market, stands out among its peers due to the small-form-factor, lightweight and various other particularities, which might be enough to compensate for some its flaws. We’re not going to get in depth in this section, as the UX333 shares its design and construction traits with the 14-inch UX433 series that we’ve previously analyzed in this other article, from the solid build quality to the choice in materials, the Ergolift hinge design and the fairly limited IO. 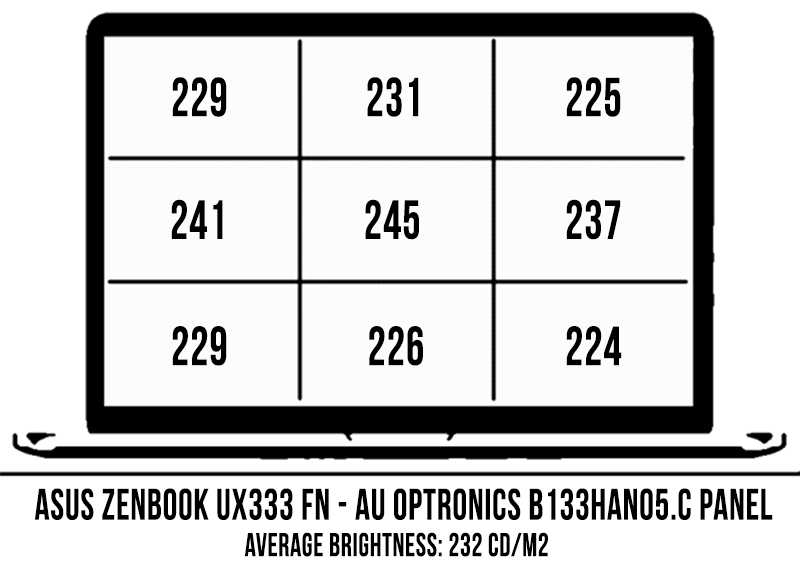 The UX333 is, of course, smaller, in fact even smaller than a standard piece of A4 paper, but a tad thicker than the 14-inch variant and pretty much the same weight, at 1.23 kg (2.71 lbs) according to our precision scales. 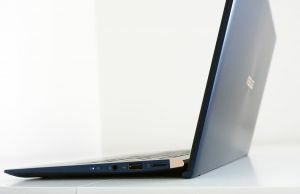 The laptop is available with either a glass-covered screen, like our test variant or with a non-glare screen, in which case it only weighs about 1.1 kg / 2.4 lbs. 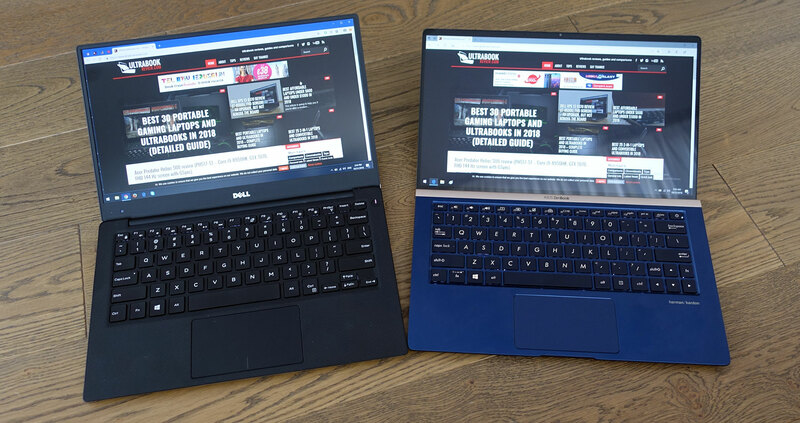 I’ve added some pictures of the ZenBook UX333 next to the Dell XPS 13, which for years has been the standard among 13-inchers for its compact size. 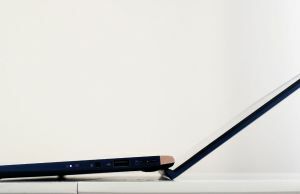 The ZenBook is shorter, mostly due to the smaller chin at the bottom of the screen. 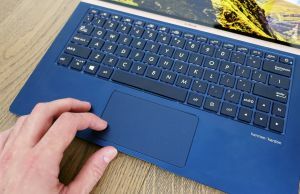 That however could also bother those of you with large hands, as both the keyboard, the touchpad and the palm-rest are shorter than on most other notebooks. We’ll talk about the keyboard and touchpad in the next section. Asus offers the UX333 series in either Royal Blue or Icicle Silver, and we got the former here. It looks stunning and allows this notebook to stand out from the crowd, but at the same time shows smudges and finger oil easily, so you’ll have to keep a cleaning cloth nearby. The silver version does a much better job at hiding smudges and even potential scratches. Knowing Asus though, they might not even offer the silver version in some regions, so if that’s the case you’ll just have to go with the Blue or another device. Even if treated in depth in the UX433 review, I’ll mention the IO in here as well, as it’s one of this series’s antagonizing aspects. 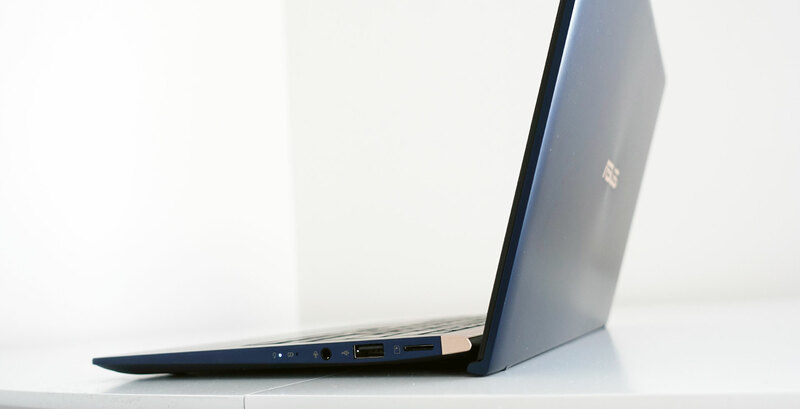 You do get two USB-A slots on this laptop, one USB-C and full-size HDMI, while the thinner alternatives only rely on USB-C ports these days and require adapters. At the same time though there’s no Thunderbolt 3, the USB-C doesn’t support charging and there’s no full-size card-reader, but merely a slow microSD reader. I couldn’t test DP support either via USB-C, so I can’t say for sure if you can hook up a 4K 60 Hz screen. You definitely can’t via the HDMI 1.4 port, but you should further look into the matter if it’s important for you. The underbelly’s design differs on the UX333 from the UX433, as the entire internals are redesigned in order to fit the smaller chassis. The speakers are placed on the sides, which actually makes them more difficult to cover while using the laptop on the lap, and there’s a long air intake grill on top of the components, but most of it was covered on our sample and air could only get in through the right side. I’d reckon that’s intentional, in order to tweak the airflow along the entire heatpipe, as fresh air gets in next to the CPU, travels over the components and heatpipe, and then is pushed out through the grill on the back edge. It might be however interesting to see if removing the cover and allowing air to flow in through the entire grill would affect temperatures in any way, but I didn’t do it on this test unit. Speaking of that, hot-air is pushed out into the screen and the exhaust is placed within about a cm of the panel with this design. The area doesn’t get past 40 degrees Celsius with demanding loads, but that could somehow negatively impact the panel over time, especially if you opt for one of the variants with the matte screen, without the extra protective glass on top. 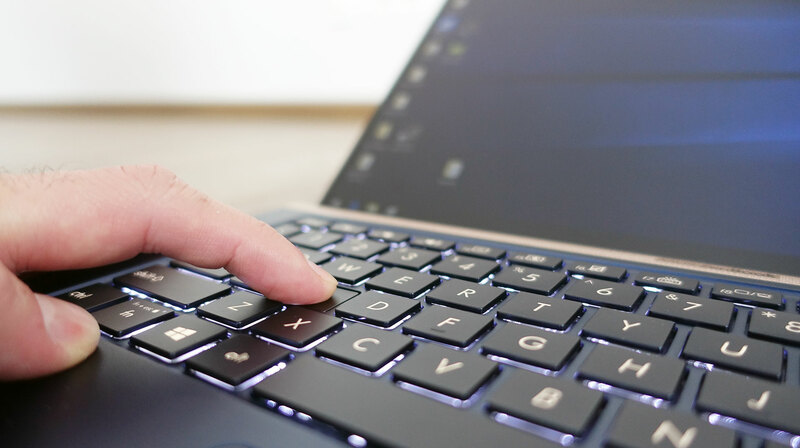 There’s a miniaturized keyboard on this laptop and that could affect your typing experience, especially if you have large hands. 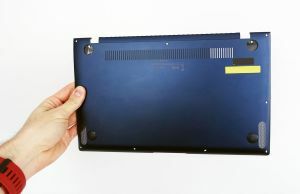 Unlike the standard keys on most modern laptops which are usually square and 15 x 15 mm in size, these are rectangular and only 15 x 13 mm , which makes the layout vertically cramped. 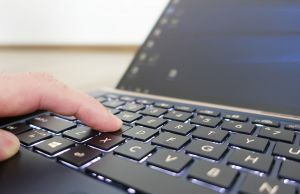 The layout also includes a tiny right-Shift key and narrow arrow keys crammed in the lower-left corner, as well as a Power button as the top right key. 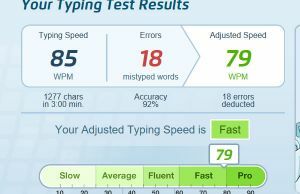 Given all these, I was prepared for a disappointment when I started typing on this laptop, but in the end, I almost came out satisfied. I don’t have huge hands though, and that’s very important in this equation. 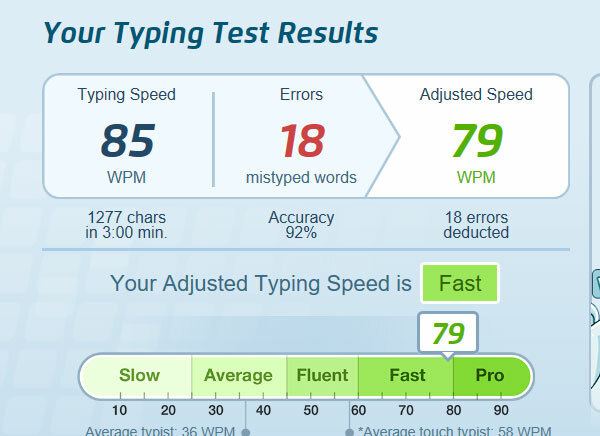 This keyboard is in fact very fast, one of the fastest typers I’ve tested in the last months, but the feedback is a rather soft and you need to hit the keys firmly to properly register inputs, which can be a little challenging on this layout and led to a fair bit of errors. I couldn’t improve the error rate much even after typing several thousands of words on this notebook. This keyboard is also fairly quiet and backlit, with three intensity levels to choose from. 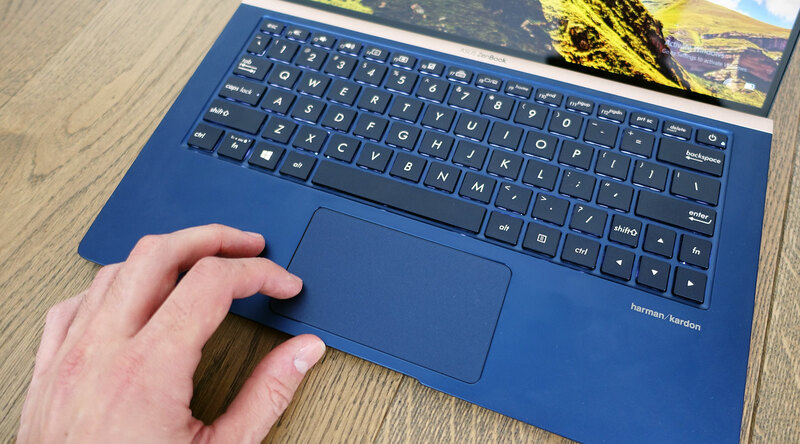 You’ll need to hit a key in order to activate illumination once it switches off, as swiping the fingers over the touchpad doesn’t do anything, at least not on our test unit. 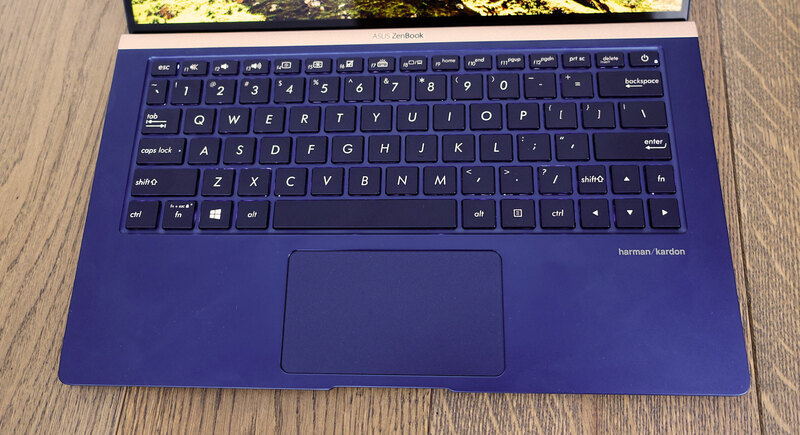 That aside, visibility is very good on the blue version of the laptop, which gets gold writing on each key. However, as mentioned in the UX433 review, you’ll pretty much have to keep the illumination active all the time in order to distinguish the writing on the Icicle Silver variant, which uses silver writing on silver keys. 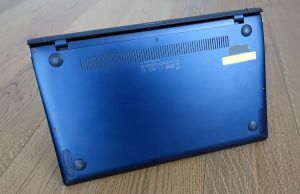 A glass touchpad sits beneath the keyboard, centered on the frame. Due to the laptop’s reduced size, this is also fairly small and short, one more nail in the coffin for those of you with large hands. It’s otherwise a Synaptics made surface with Precision drivers and handles everyday use, taps, gestures and swipes smoothly and reliably, without any hiccups. 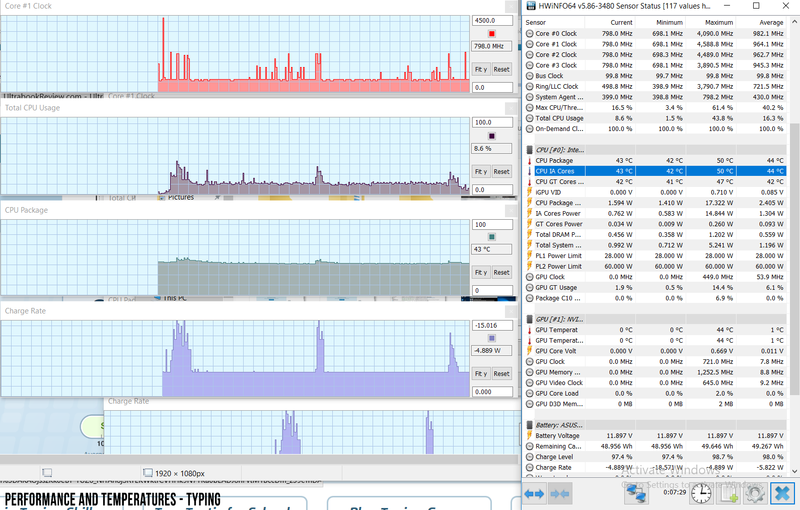 The physical clicks are pretty good as well, smooth and quiet. 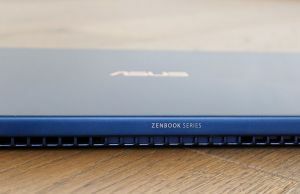 Our test unit did not get the exact same touchpad you’ll find on the retail units, which Asus offers with what they call a NumberPad, just like with their other late-2018 ZenBooks. That’s pretty much a similar glass surface which can double as a simulated NumPad with the press of the dedicated zone in the top corner, something those of you who need a NumPad might appreciate, as there’s regularly no such feature on an ultraportable laptop. I didn’t get to test it myself, but the impressions available online complain about the delayed responsiveness and lack of haptic feedback, so don’t expect this to be as practical as a regular NumPad with physical keys. I’ll also mention that there’s no finger sensor on this laptop, but you do get an IR Hello camera at the top of the screen, so you’re not necessarily going to miss it when you can use the faster cameras to quickly log into Windows. As the name suggests, the UX333 gets a 13-inch screen, with millimetric bezels around the sides. 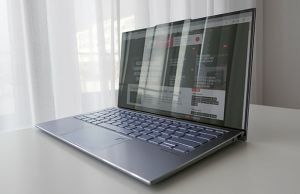 Asus advertises a 95% screen-to-body ratio for this laptop, the highest of all existing notebooks on the markets, which is due to the 2.9 mm side bezels and especially the 3.3 mm chin. The standard version of the UX333, the one we have here and the one you’ll find in most regions, gets a layer of protective glass on top of the panel, but versions with a non-glare finishing are also available. Those are lighter (~1.1 kg / 2.4 lbs) and far more practical in strong-light environments without the glarry layer of glass, but at the same time the screen’s rigidity will suffer and some of you might also not appreciate the standard graininess associated with matte displays. I’d definitely take the non-glare variant if possible, but as already mentioned earlier, you might not even get the choice in most regions, in which case you will have to either accept the glass implementation or look at something else. 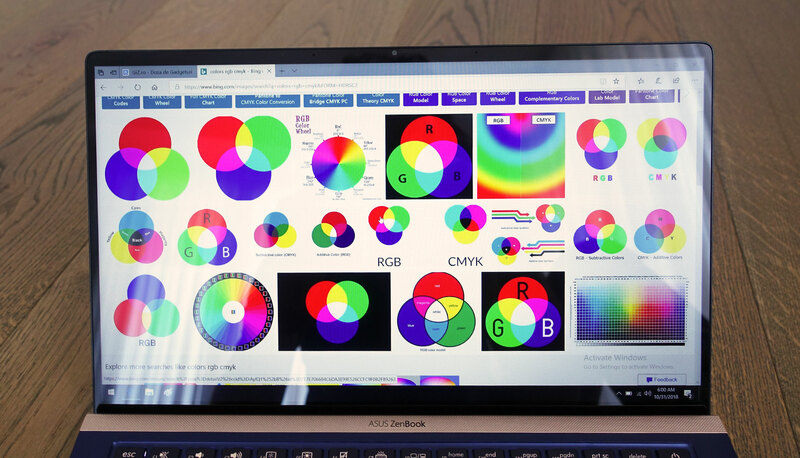 In fact, you might want to do that either way if you plan to use your computer in bright environments and outdoors, because Asus puts a dim panel on both the glass/matte versions of this laptop, the same one they’re also using for the ZenBook UX362 convertible. 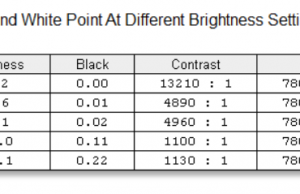 It’s a pretty good panel, don’t get me wrong, with deep blacks, good color reproduction and wide viewing angles, but the max-brightness of merely 250 nits is hardly acceptable in this day and age when the competition offers 400+ nits panels on their similarly priced ultraportables. 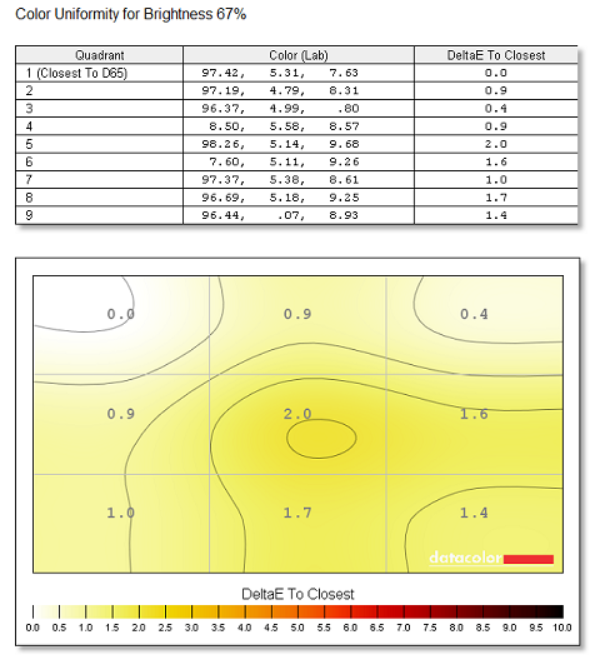 The panel also needs calibration in order to fix the gamma, White Point and gray-level imbalances, and you can use this color profile for that. 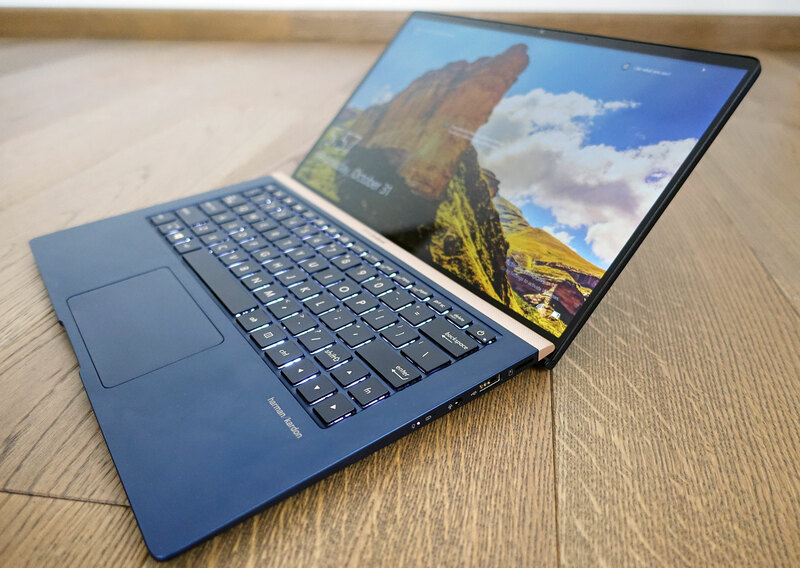 Our test model is a highly-specked version of the Zenbook UX333FN, with the Whiskey Lake Core i7-8565U processor, 16 GB of LPDDR3 RAM, a 1 TB Samsung PM981 MZVLB1T0HALR SSD and the 10DE 1D12 variant of the Nvidia MX150 dedicated graphics chip. 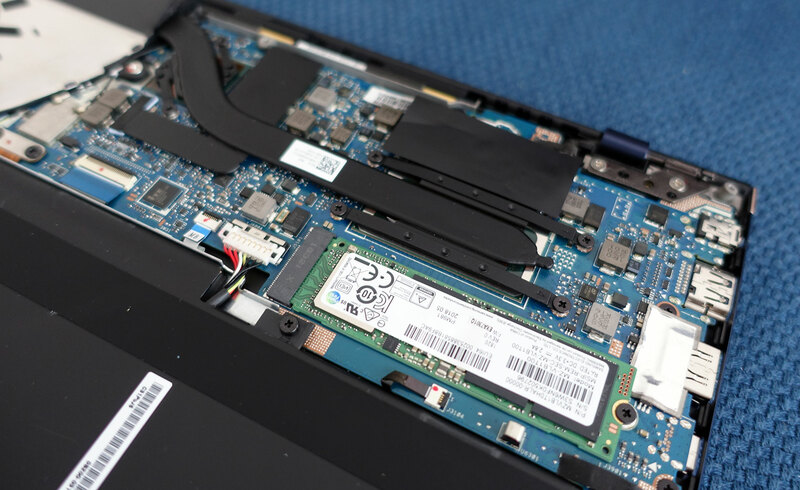 As far as we know from the UX433 models that are already available in stores, most retail versions of this laptop should ship with 256 GB or 512 GB PCI x2 SSDs, and the supplier varies from region to region. These are not going to be as fast as the 1 TB PCIe x4 Samsung drive on our test-unit, thus the power users among you might want to swap the storage. 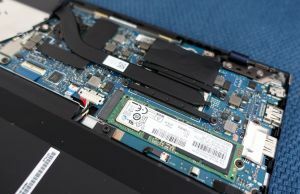 However, look out for a potential warranty sticker on the SSD’s screw, which could mean that replacing the SSD would void the warranty. 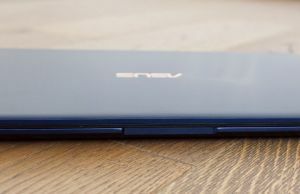 There’s no sticker on this review unit, but there is one on the retail versions of the ZenBook UX433s. Getting inside requires you to remove the entire bottom panel, hold in place by various screws visible on the sides (they’re not the same size), as well as two extra screws hidden beneath the rear rubber feet. You can’t update anything else except for the SSD though, as the CPU, GPU, RAM and Wi-Fi chip are all soldered on the motherboard. Speaking of RAM, you can get this laptop with either 8 or 16 GB of memory, but the latter option is only available with the higher-end Core i7 configurations. If you’re primarily looking at the ZenBook UX333FA variants as compact all-rounders for everyday tasks, the i5 and even the i3 models with 8 GB of RAM should fit your needs, but for more demanding tasks or future-proofness you should step-up to the i7 / 16 GB models. Before we get in depth on the performance I must warn you to take our findings with a grain of salt. While our test unit did perform within expected parameters, it is nonetheless a pre-release version with immature drivers, thus the final retail units might be tweaked to perform smoother in certain cases, especially in those that put the components to hard work. Of course, this kind of laptop will easily handle everyday chores like browsing, multitasking, video and the likes, while keeping cool and quiet. 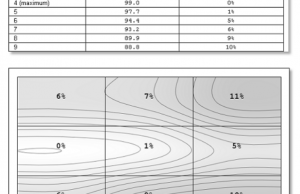 The logs below show what to expect in terms of performance and internal temperatures, and we’ll also discuss the fan’s behavior and outer-shell temperatures in the next section. For now, let’s turn our attention to how our test unit handled demanding loads. 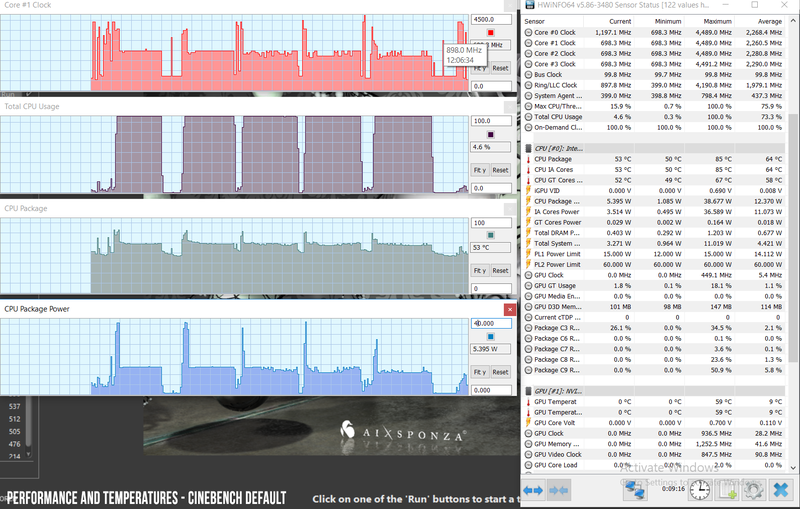 We first test the CPU in 100% loads by running Cinebench R15 for 10+ times in a loop, with a 3-second delay between each run. Out of the box, our test unit returned scores of around 560 points for the first run, which later stabilize at around 500 points with consecutive runs. 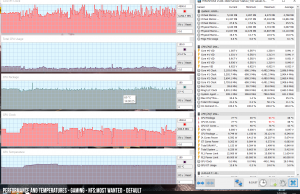 That equates to CPU Turbo speeds of 2.1 – 2.4 GHz, a TDP of 12-15 W and temperatures of around 65-76 degrees Celsius. Details below. 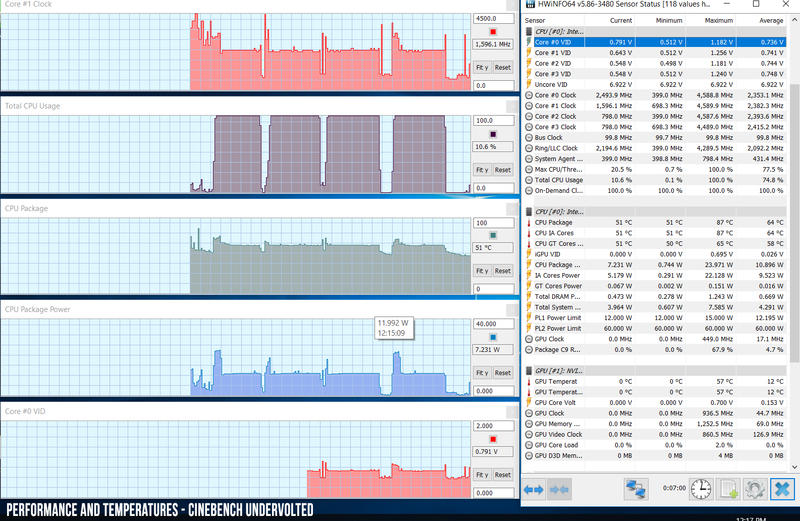 Next we undervolted the CPU (explained in-depth in this article), which was stable at -90 mV on our test unit, and reran the Cinebench procedure. 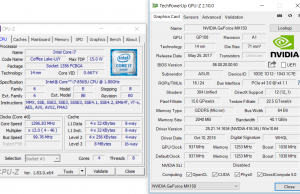 This time we got scores of around 700 points for the first run, which settled at around 570 points after several iterations, translated in speeds of around 2.6 GHz, a 15 W TDP and temperatures of around 65-67 degrees Celsius. 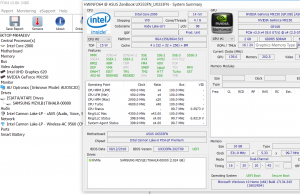 As expected from this kind of hardware, undervolting allows the CPU to run at higher Turbo frequencies in demanding loads, which results in a 10-20% performance increase. Undervolting benefits everyday use as well, as it allows the CPU to run at lower TDPs and thus cooler and more efficient. 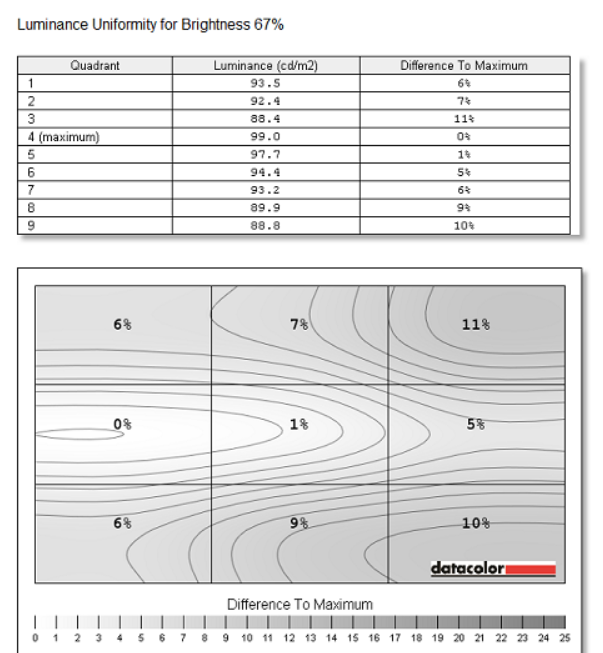 Those interested in benchmarks results will find the results of our standard tests below, on the default out-of-the-box settings. 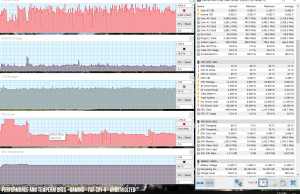 x264 HD Benchmark 4.0 32-bit: Pass 1 – 153.87 fps, Pass 2 – 32.78 fps. 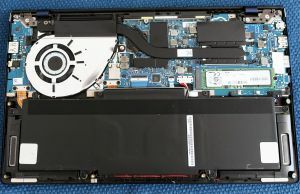 We didn’t get to ran tests in the undervolted profile in this case, but you can find what to expect from the undervolted Core i7-8565U in a similar chassis from our review of the ZenBook UX433FN series. With that out of the way, let’s talk about the gaming experience, but we’re not going to get much in depth, as we’re dealing with a pre-production unit here and some of the results might be skewed and could lead to incorrect conclusions. We will however update this section in the future. We ran a couple of games on our test-unit, and I’ve compiled the results in the following table. All the games were tested at FHD resolution and High graphics settings, on the default voltage profile, and I’ve also added the following gaming ultrabooks as reference points: the Asus ZenBook UX433 (MX150 10DE 1D12 variant), the Asus Zebook UX331(MX150 10DE 1D12 variant) and the Acer Swift 3 (MX150 10DE 1D12 variant). 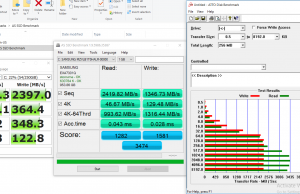 These are solid results, pretty much on par with the existing MX150 10DE 1D12 variant laptops out there, despite the fact the this ZenBook UX333FN is smaller. However, the performance degrades after a couple of minutes of play, although not in the same way as on the UX433FN reviewed earlier. This time the CPU kept running strong even with the more demanding titles, as it was allowed to reach temperatures of around 75 degrees Celsius, but the GPU was still thermally limited to about 65-67 degrees Celsius and thus forced to clock down to as low as 700 MHz. Undervolting does allow the CPU to run at higher Turbo Frequencies, but with no effect on temperatures or the GPU’s performance. Now that I think of, it wouldn’t have been interesting to limit the CPU’s frequencies to stock and see how that impacted the GPU’s behavior. 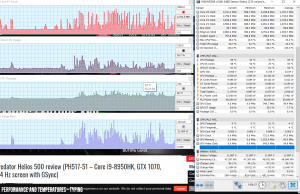 I’d reckon it should have made a difference, since the two share a common cooling heatpipe and a cooler CPU would have translated in a higher thermal headroom allocated to the GPU, thus higher frequencies. That’s just a supposition at this point though, and in the end you should definitely take these findings with a big lump of salt and look for our future updates, as well as look for other reviews that carefully analyze performance in demanding loads and games. 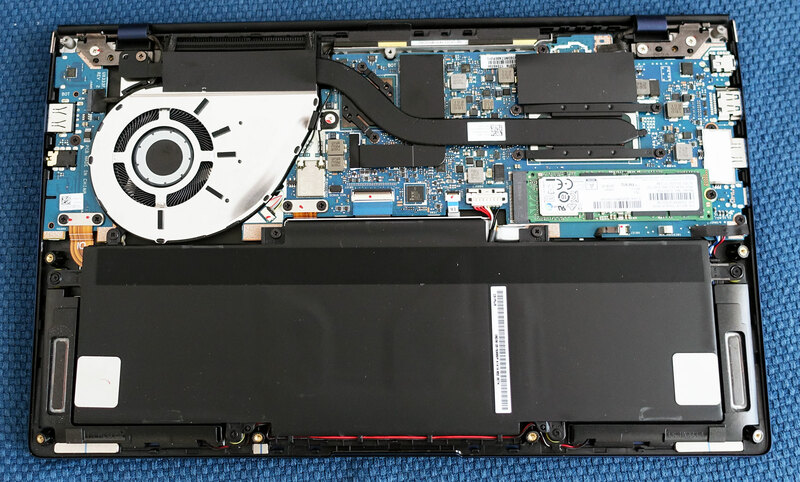 The cooling is almost identical to the implementation on the ZenBook UX433 and very similar to the design used on the older ZenBook lines, with a single fan and single heatpipe covering both the CPU and GPU. 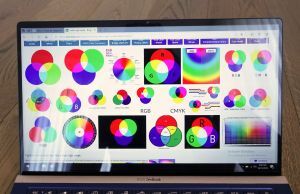 I would have expected a more complex solution, given how the competition use dual-fans and multiple heatpipes to cool similar devices, and even Asus use a different approach with the slimmer ZenBook UX331. I can’t, however, draw any conclusions on this one’s ability to keep the hardware at bay in demanding loads based on this pre-production sample, so we’ll refrain that for a future update. I will tell you that the fan inside spins quietly with games, topping at about 40 dB at head level (33 dB room noise level in a perfectly quiet environment). It’s also inactive with daily use and multitasking, and our sample didn’t suffer from any sort of coil whine or electronic noise, unlike the UX433 variant tested before. Coil whine is a common plague with modern laptops though, so there’s no guarantee you won’t get any with your unit. In fact, I’d you’re odds are mostly in favor of experiencing at least some. As far as outer-shell temperatures go, our review unit ran fairly warm with daily use, which I totally expected given the fan’s profile and the compact build. The interior kept merely warm as well while running games, even if the back reached temperatures in the high 40s, which is definitely not bad for this kind of a gaming ultrabook. I’d expect the final retails versions to run a little hotter though if Asus opts for a more permissive power profile that would allow both the CPU and the GPU to reach higher inner temperatures and deliver the expected performance in longer gaming sessions. 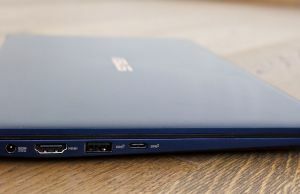 For connectivity, there’s an Intel 9560 wireless module inside this laptop, with Bluetooth 5.0, one of the fastest and most reliable solutions available these days. It performed well with our setup both near the router and at 30+ feet with obstacles in between, and we didn’t notice any hiccups, disconnects or other issues. That’s good news, as the Wi-Fi chip is soldered on the motherboard and there would have been no way to replace it. 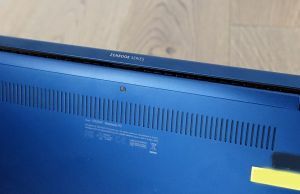 I’d also expect the speakers to be quite capable on this laptop, based on their size and the fact that they’re similar to the ones of the ZenBook UX433 and UX362 lines previously tested. Due to an error on my part, I accidentally uninstalled the audio driver on our test unit, and could not get these to work again no matter what I tried, as there were no official drivers available at the time of the post, and the generic Realtek drivers refused to work. Regardless, I expect these to be punchy and rich, for the class, of course. 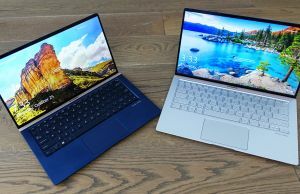 I’ll also mention the set of cameras and near-field microphones you’ll get at the top of the screen with the retail versions of the ZenBook UX333. The regular HD webcam is rather mediocre, but the mics and the IR camera will prove quite useful for logging into Windows and “chatting” with either Alexa or Cortana. There’s a 50 Wh battery inside both the UX333FA and the UX333FN models. Both lines offer similar battery-life with everyday tasks, as the MX150 chip is disabled by Optimus, with differences only in games and other demanding loads that would use the dGPU. 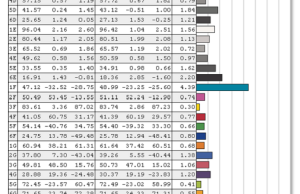 Here’s what we got in our tests, with the screen set at 40% brightness, which is around 120 nits. 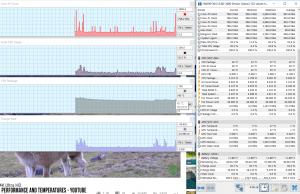 12.5 W (~4 h of use) – browsing in Edge, Better Performance Mode, screen at 40%, Wi-Fi ON. Keep in mind the review unit is pre-production, and you can expect slightly improved runtimes with the final retail units due to improved drivers. Undervolting the CPU, dimming the screen and switching off the keyboard’s illumination will also help squeeze the most out of this battery, but don’t expect more than 5-6 hours of multitasking or 9-11 hours of video. Our test unit came with a compact and light 65 W charger, the standard design we’ve seen on ZenBooks in the last years, with the prongs attached to the power brick. A full charge takes around two hours. The UX333FA variants are bundled with a smaller 45 W charger and a full charge takes a little longer. 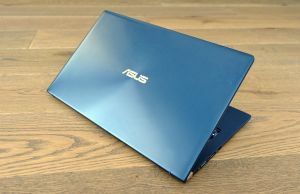 Neither includes fast-charging technology, which is surprising given that Asus bundles fast chargers with some of their other laptops, like the Zenbook S UX391 or the ZenBook Flip UX362 lines. None of the UX333s are able to charge via USB-C either, despite the fact that they offer a USB-C gen2 port, so you’ll have to always rely on the included barrel plug charger. 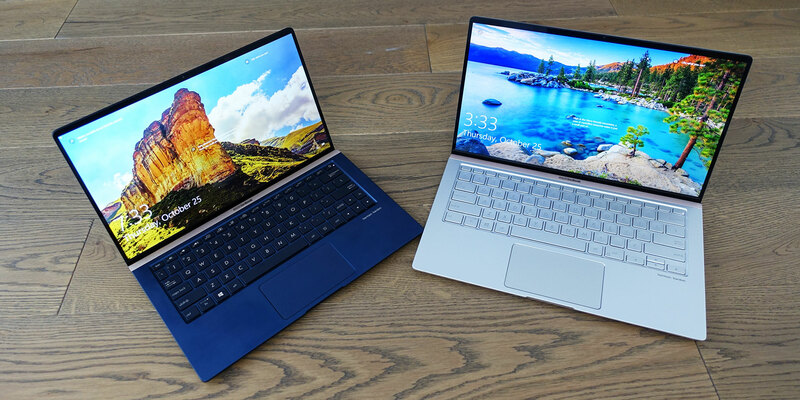 The Zenbook UX333 series is expected in stores in January 2019, with the UX333FA versions starting at 899 EUR for the Core i3 configurations and 999 EUR / $999 for the Core i5 models, both with 8 GB of RAM and a 256 GB PCIe SSD. Expect to pay about 100 USD / EUR extra for the UX333FN variants with the Nvidia MX150 graphics. 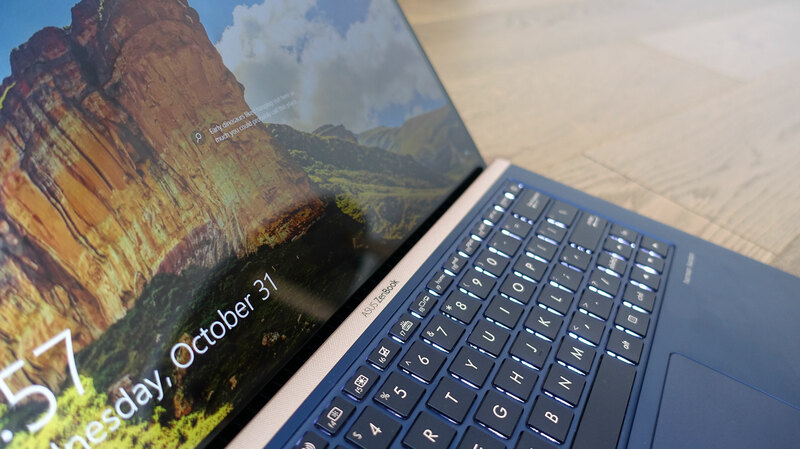 We’ll update this section once we know more about availability and final prices, but for the most part, expect this to match the pricing of the already available 14-inch ZenBook UX433F series. 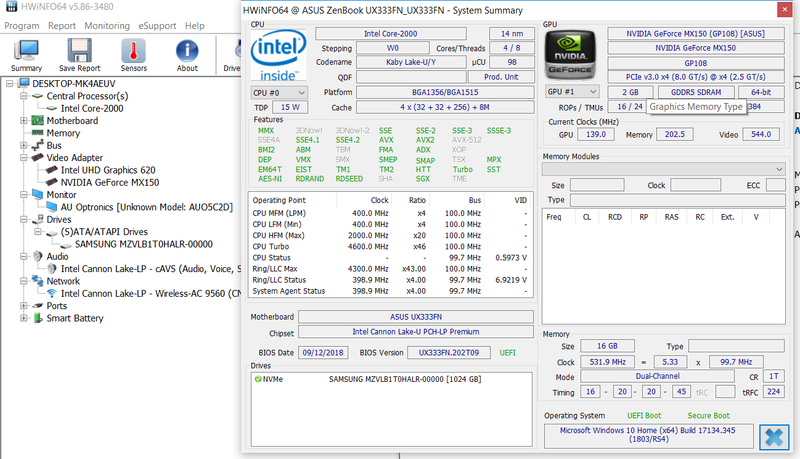 I can’t draw final conclusions on this Core i7 / MX150 configuration of the ZenBook UX333FN based on our sample, because the gaming performance is crucial in the whole equation and I can’t tell whether the final retail units will perform similarly to our test model or perhaps better. I can tell you that the performance is there, but whether or not it can last for longer gaming sessions remains to be elucidated in our future updates, once we hopefully get our hands on a final retail product. Till then, take our findings with a lump of salt. 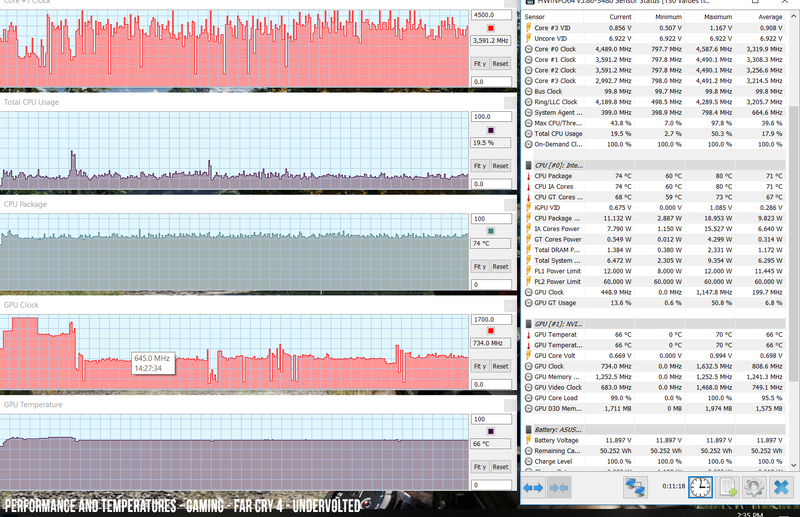 Gaming performance aside though, this laptop checks many of the right boxes as an all-around ultraportable. 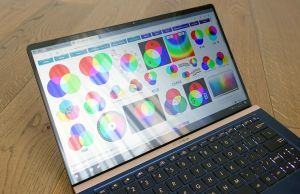 The ZenBook UX333FA variants lose the competitive advantage given by the MX150 GPU though, and have to swim in far more crowded waters, next to the heavyweight 13-inch thin-and-lights of this generation, like the Dell XPS 13, the HP Spectre 13, the Microsoft Surface Laptop or the Zenbook S UX391 and the updated ZenBook S13 UX392 with Nvidia graphics. 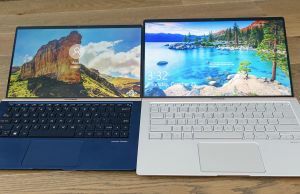 The compact form-factor is this series main selling point, alongside the latest-generation hardware and competitive pricing, especially in the International markets where Dell and HP products are fairly expensive and the Surface Laptop is not available. 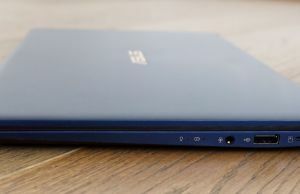 This is also one of the first 13-inch laptops with Whiskey Lake hardware, but given the platform’s particularities and limited gains over the previous KabyLake-R platforms in compact builds, that should not be a decisive factor in your decision. 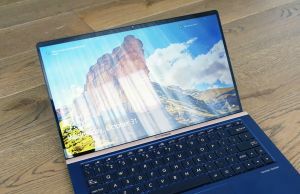 Other aspects like the build quality, the typing experience, the screen, and the IO should, and while this ZenBook scores an A- for construction, the lacking keyboard, screen, and IO throw it to the middle of the class. None are bad by any means, but the keyboard is cramped and rather inaccurate with my typing style, the screen is glossy and dimmer than I’d want in this day and age, and the IO is a mixed bag, with some full-size ports, but also without the future-proofness and convenience of a Thunderbolt 3 connector. 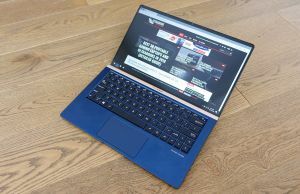 With all these in mind, I feel that those interested in this laptop would find better value in either the ZenBook UX391 (lighter, thinner, nicer keyboard, brighter screen, Thunderbolt 3) or even the ZenBook UX433 series (slightly bigger, same weight, better keyboard, brighter screen, similar hardware and runs cooler), both selling for about the same price as the UX333s. 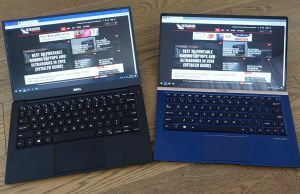 And that’s without even considering the Dell XPS 13 and the other options mentioned earlier, which for the most part are more expensive, but also better specked devices with improved keyboards, brighter screens, better IO and even longer battery life. That’s how I fell about the ZenBook UX333FA series. 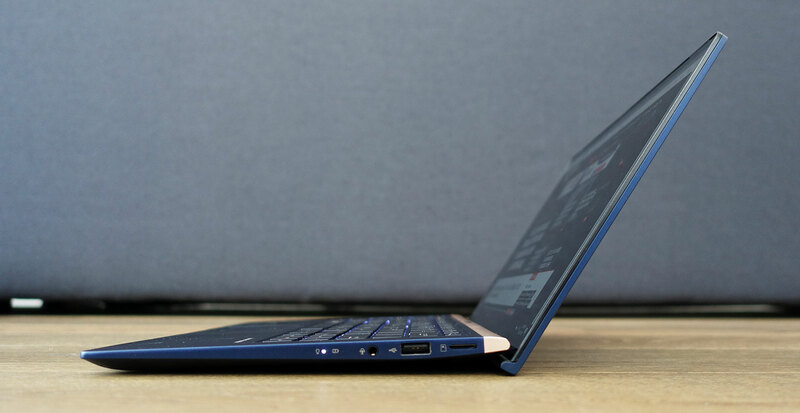 The UX333FN could be a different story if it delivers the expected performance, and a gaming capable ultra-compact notebook is what you’re after. We’ll see, look further for our updates. With that in mind we’ll wrap this up here. The comments section below awaits your feedback and questions though, so don’t hesitate to get in touch, we’re around to help our if we can. Hello. I am a frequent traveler in need of a laptop that will be able to handle my workload. I do a lot of teaching online via Skype. I also do type quite often. I don't often have the screen too bright as it bothers my eyes. Would this laptop be good (333FX)? Would you recommend it? This gets a small keyboard, so it wouldn't be my first choice if I were to do a lot of typing. I'd rather go with the XPS 13 or some of the smaller Lenovo ThinkPads, if within budget. I had the 14" version of this, UX433FN. 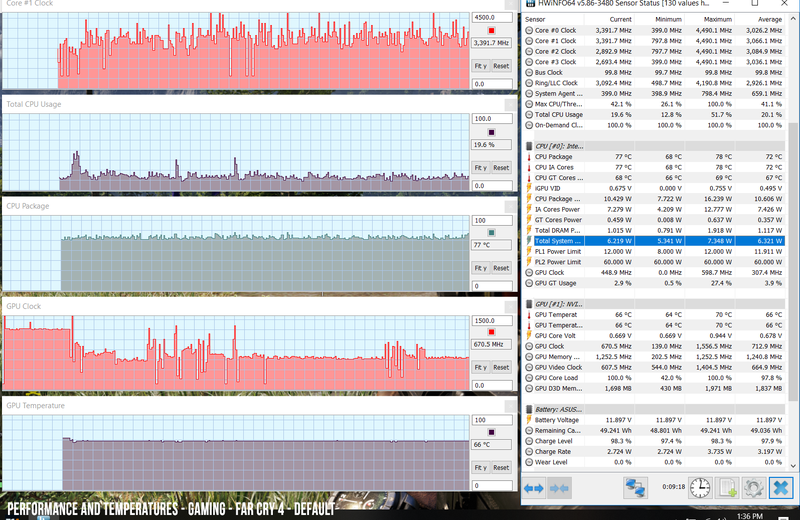 It had horrible throttling while gaming. For example in "Rime" it was smooth at low settings in the first two minutes, then it would throttle to about 400Mhz GPU and 600Mhz CPU, making it unplayable. I returned it a day later. Hello. I have the same problem even in simple old games like Quake Live. 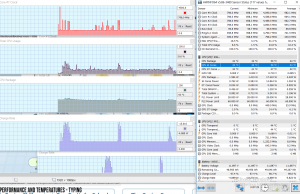 It's interesting that playing on iGPU – all is ok. 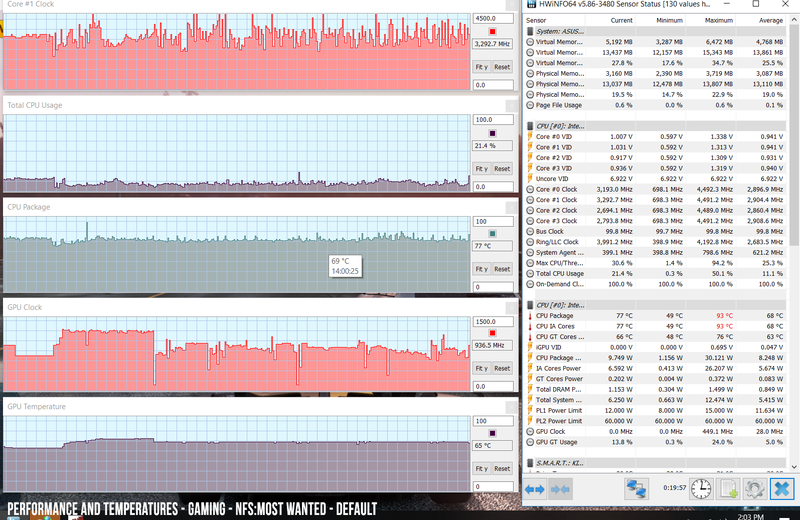 But when I play on dGPU – first 5-10 minutes it's ok, but after PC starts throttling to 400Mhz CPU and dGPU starts throttling at the same time. 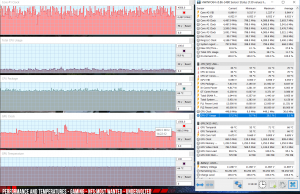 I don't understand what is the real reason of it – CPU or dGPU. 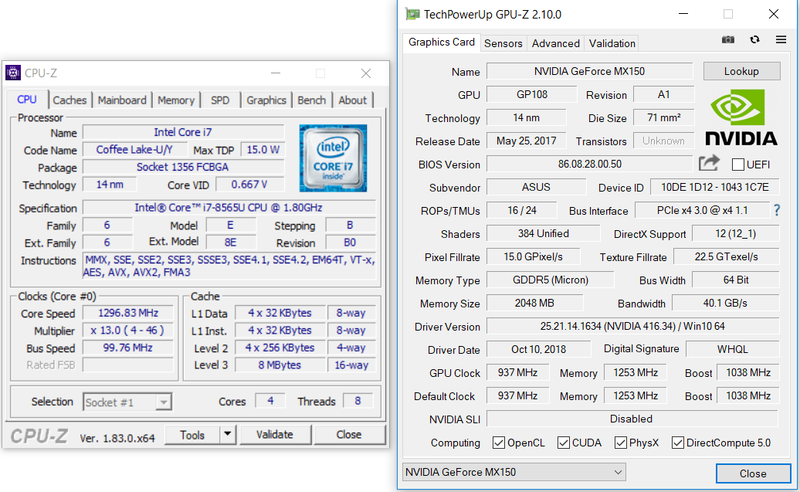 And it's strange that dGPU always tries to work at about 1600Mhz (before throttling), but there is 1d12 version that has about 1100Mhz boost frequency. You did mention that the exhaust hot air which blown to the lcd panel will have a negative impact. Do you mind to share what is it? I just bought this 13 inch model and found there is no UEFI. Is it normal for the laptop release on this year to not having the UEFI? Does anyone know where the lock screen photo of UX333 is? I know its from windows spotlight. Just wondering where it is. Thanks! where do I buy this configuration? I can't find it anywhere! Do you know if the users are having troubles with the battery? I bought a UX333FA in US, but the battery seems to have problems. 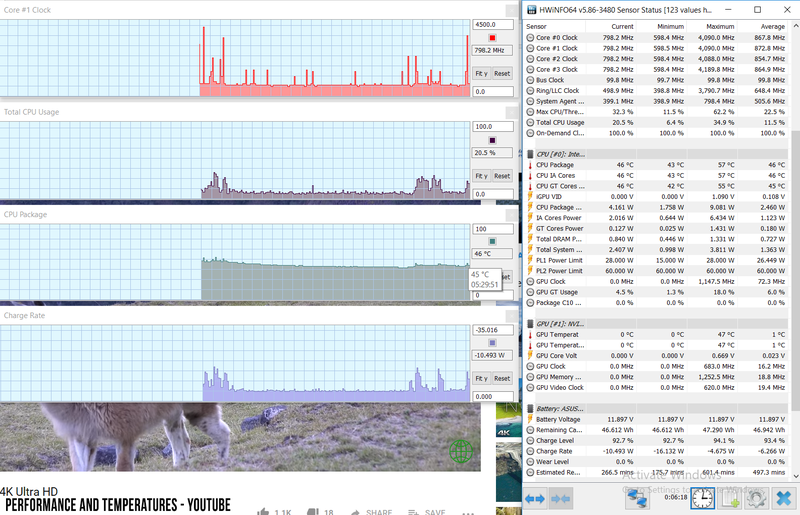 I only got 7h with battery saver and just browsing. 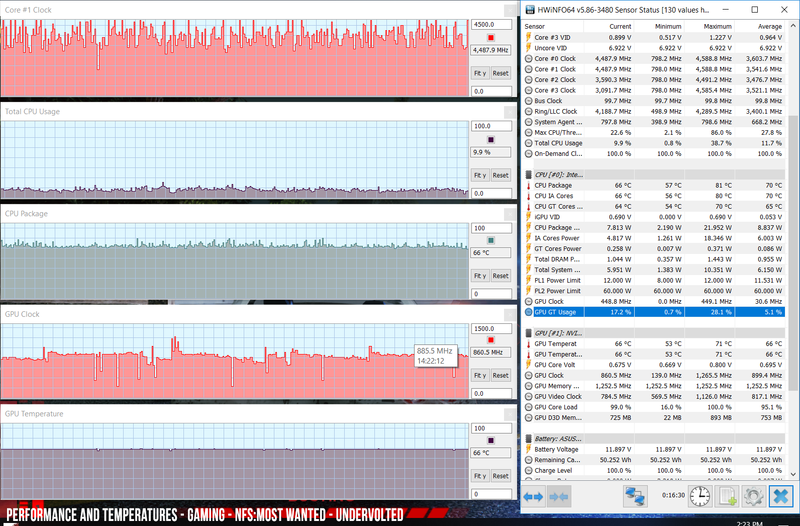 Asus says it would last 14h and i'm getting just 1/2 of that. Asus sad to me to reinstall windows, reset and update the bios, but i haven't seen any progress. I would have to send the unit for them which is big disappoitment, i had the UX330UA – 7gen and the battery was superb.Even after 2 years. Read the battery section in the review. You're never going to get 14h in real life, unfortunately, that's more or less false advertising. 5-7 h of daily use is normal from a 50 Wh battery, and up to 10 with video. Hi, sorry I haven't seen your reply before. Yes, I read the battery section in the review, which shows a slightly margin over my notebook. 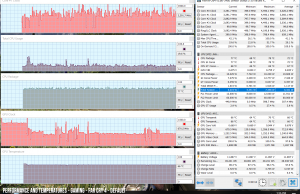 I can't understand, why Asus does it? This something that goes against the brand. 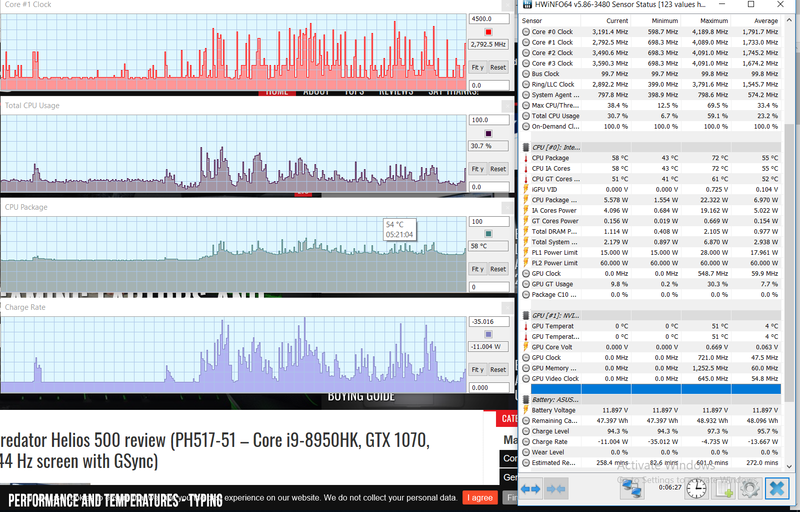 When I had the previous Asus they advertised it as 12h and I got 10h, which is okay. Small difference. But now, it's a huge lie to the customers. 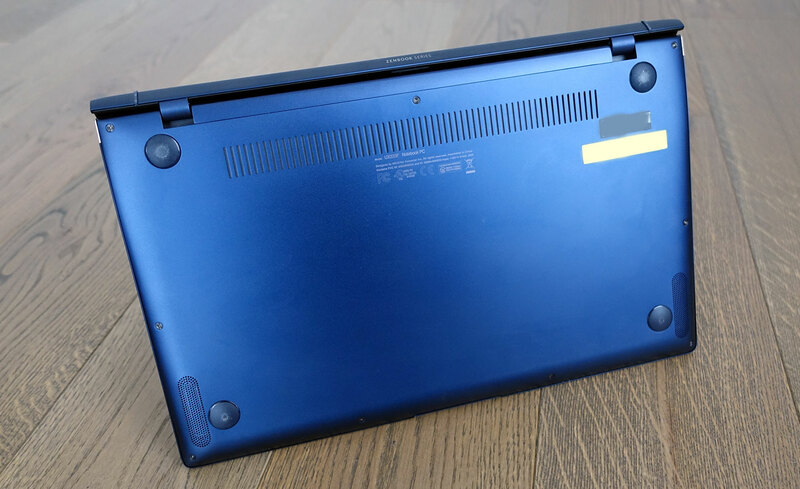 For example, when you check the Dell Inspiron 13 7000, the company says that the battery would last 9h, but the users only got 3h. Too many people complain on Dell website. I can't understand how I can keep the battery from loading and unloading constantly as I have the laptop plugged in always when I am at my office. Has anybody heard of an Energy Manager like Lenovo has? that thing worked perfect on my old laptop. Am searching now for some time online but no hits, would appreciate any help. Thanks and keep up the amazing work. 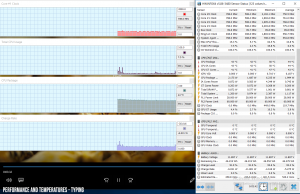 Have you tried MyAsus->Charging mode? Laptop is not available on Amazon. Can some please tell me where I can purchase the same.